Chiquita Bananas Minion Sweepstakes Extended for Today Only! Tons of Prizes Left! 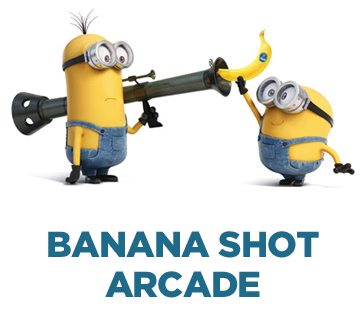 Extended for today only (July 31st, 2015) is the Chiquita Bananas Minion Sweepstakes! You can win tons of prizes – up to 4 prizes per hour. They include trips, towels, water bottles, and more. 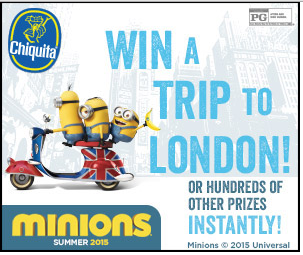 To get started, simply go to the minions sweepstakes page. If you’re not ready to get started just yet, read this post to learn about the many ways to win. My favorite way to win is just by clicking ‘Instant Win‘ at the top of the page. From there, you click the big ‘instant win’ button on the page. To claim your prize, you just need to login or signup. I’ve been subscribed to Chiquita emails for months now and I’ve never be spammed by them. The emails are so infrequent, I hope they haven’t forgotten about me. This game is super easy but requires you to have some Chiquita bananas in your possession. Who doesn’t need bananas? They are cheap and healthy. I like to use them for nice cream. Definitely go get a few bunches today. 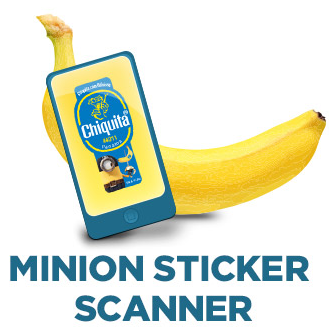 Anyway, all you do is scan the sticker with your phone and text CHIQUITA to 44844. There are 32 stickers you can scan to win prizes. Thus, there are many ways to win in a hurry. Text STOP to the same number to stop receiving text messages from Chiquita. This way to win isn’t as simple but it’s definitely more fun. It’s a fun memory test game. You complete all 7 levels to win a prize. If you do well, you even get your name on the official top score list on the right of the page. Thousands of people around the world will see your name up in lights! They are really fun, really simple games. They feel like the games being played in the Lumosity TV commercials. This is by far the most fun game to play for me. Who doesn’t like to shoot stuff at targets?! It’s like a fun carnival game you can play from home. You simply toss bananas at moving targets. If you get a good score, you earn a good prize! Right now it only takes 10,000 points to get on the high scores list! Prop tip: lead your shots – but not by much. Sticker showdown is another easy way to win a prize! 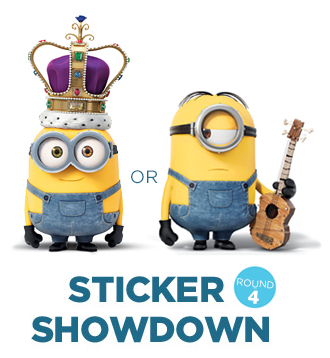 You simply vote for your favorite Chiquita minion stickers. I voted on 4 stickers before being asked to login to claim my prize. It’s also cool because you can see how others voted – 60% for one sticker, 40% for the other, etc. It was kind of fun to see if my selections matched everyone else’s preferences. 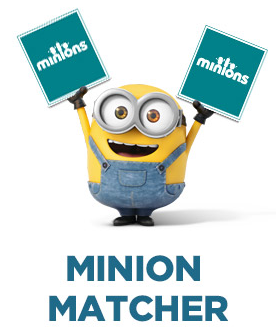 The FINAL way to win (method 6 of 6) is to share a digital Minion greeting card from the Minion Cardmaker. Have your child send one to a friend or family member. Or send one to a kid you know. It’s fun to send cards – plus you have a chance to win a prize. It’s like be rewarded for being kind. Pretty great if you ask me! Click here to get started playing and winning! One week ago, McDonald’s released Minion Mania for the month of July. It’s the result of Universal and McDonald’s teaming up to promote the new movie, Minions (a prequel to Despicable Me). This month, McDonald’s is giving away Minion toys in Happy Meals, over $1 million in cash, and hundreds of thousands of toys. But this marketing campaign may have a sour twist. As soon as the game began, reports of potty-mouth Minions began appearing online. Parents were outraged when these toys, apparently, spoke profanity. Parents from all over took to the internet to let themselves be heard. You will most likely find this story either silly or sickening or maybe even down right despicable. 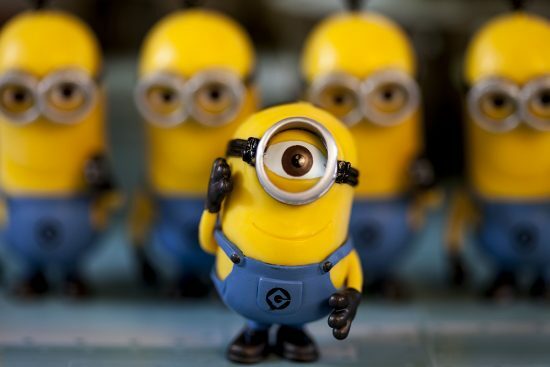 Minions speak ‘Minionese’ which is a random combination of many languages and nonsense words and sounds. ‘Minionese’ has no translation to, or meaning in any recognized language. Any perceived similarities to words used within the English language is purely coincidental. McDonald’s went on to say the toys go through rigorous testing before being rolled out to children. McDonald’s also said all their Happy Meal toys comply with all safety regulations. McDonald’s claims they are perfectly appropriate for children. Parents are concerned because they don’t want these phrases to be repeated by their children. Some parents believe if the toys aren’t saying curse words – it still sounds like they are swearing. 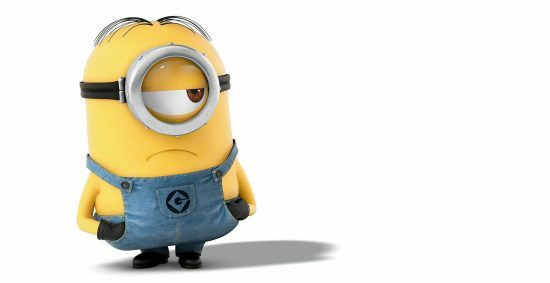 Since kids do not understand Minionese, they will use their own language to decipher what is being said. Cut Minionese phrases sound like foul-mouthed English phrases to some parents. Happy Meals (which the toys come in) are targeted at children. Children are impressionable. Even if the toys comply with all government toy distributions standards, one must ask if McDonald’s did this on purpose. The Illinois-based company design these toys understand the English language. Did they ever consider the toy, at least somewhat, sounds like it is using words most parents find to be ‘bad’? Maybe yes, maybe no. However, nothing can be known for certain. McDonald’s denies it has done anything wrong. Many other parents believe the toys are just fine – whether they speak profanity or not. McDonald’s has no plans to recall the toys. This is a qualitative argument which has no definite answer. As found through neurology, human brains try hard to find meaning in everything. It’s why we can see shapes in clouds. It’s why we see more in paintings that just brush strokes. Not long ago, people were seeing the face of Jesus in potato chips and burnt into their morning slice of toast. Humans want to find the deeper meaning in things. It’s what makes us human. Our brains do the same sort of detective work when we listen. We want to find meaning. Some people may really believe the toys are swearing at them. But this could just be their brain’s attempting to relate a common phrase in English to what the Minions are saying in Minionese. Our brains can get confused. I try to read a lot of newspapers. I read the New York Times and several other papers online and I subscribe to the print versions of the Wall Street Journal, Financial Times and our local paper, The Orlando Sentinel. Of course, life often intervenes and prevents me from getting through all of my daily reading, but I rarely fail to find the time to go through every section of the Sentinel from cover to cover. Last week, I kept track of all of the money saving and money making benefits I found in my local paper. I suspect that if you take the time to invest in a subscription to your local paper, you will find the following benefits as well. I believe that just about anyone reading this article already knows that on Sunday, local papers are full of money saving coupon inserts. Last Sunday, my Sentinel advertized $208 in coupon savings could be found in the paper that day. This week, there were more than $320 in coupon savings in the Sunday paper. Of course, you need to take the time to find the inserts and to clip the coupons but that is a small price to pay for even a fraction of those coupons! Just last week, I found a 50% off one item coupon that redeemed at Michael’s craft store to buy a $120 item. I saved $60 with that one coupon alone! Coupons, however, do not just appear in coupon inserts. This past week, I also found two $5 grocery store coupons on stickers located on the front page of my paper (on Sunday and on Friday). There were also many coupons scattered throughout the paper every other day of the week. If you take the time to look, you will likely find more than enough coupons in one month to pay the cost of your yearly newspaper subscription. Although you could check sale flyers for all of the stores in your area by going on-line, that would take you a long time and you would still probably miss some sales. Your Sunday paper will carry sale flyers for all of the major stores in your area, allowing you to review in the comfort of your own home the bargains that are available. I read every sale flyer each week and use the flyers to plan my shopping. Especially as we get closer to the Christmas season, sales flyers usually provide me with my shopping itinerary for the week to come. There are a lot of things for sale in the classified advertisements of your local paper. Almost always, there are bargains to be found. When I was in college, a friend furnished his apartment for almost nothing by scouring the classifieds for bargains and aggressively checking out every listing that had potential. My local paper also includes yard sale and thrift shop listings. It has been a while since I have had the time to go yard sale hopping on a Saturday morning but friends and I used to go to all of the yard sales in our town when we were in high school. It was great to be able to buy all of the cool stuff that the parents of recent high school graduates were selling, sometimes the week that our former classmates had headed off to college! If you watch Antiques Road Show on PBS you know that some yard sale finds can bring tremendous profit if you know what to buy! If you are looking for a job, the Sunday paper is still the best place to look for local employment. Employers will post both their hiring needs and advertize any job fairs that they are planning. Even if you are unable to find the job that you want for the long term, the local employment ads are an easy resource for finding interim jobs that can keep you going until you find the right job. My local paper prints many articles that help readers to save money. Today, for example, the travel section of my paper has a couple of articles devoted to the savings that are available for travelers who want to travel over the Christmas holidays or who want to take in a show in New York City. There was also an article that addressed how to shop intelligently for young children this holiday season. Many of the money saving steps that I take in my own day to day life, I first discovered in my local paper. My local paper offers many give-away contests in any given month. Winners are usually given tickets to a local show or attraction or gift certificates to local restaurants. Entry in the contests is easy and can usually be done via the newspapers website. There are a lot of free shows and concerts that are advertised in my local paper. Also, many local art museums offer free admission from time to time, and I find out about those opportunities in my local paper. Local colleges also offer many free and reduced price music, education and sports programs that are highlighted in listings in my local paper. It takes me up to two hours to read my local paper on Sunday and about 30 minutes every other day of the week. I enjoy that time, sitting in my chair, sipping my tea, and reading my paper. I am not spending money while I read, other than the pennies it costs each day to have my paper delivered, and I am thoroughly enjoying myself! I am sure that each of my readers also has reasons to read the newspaper (perhaps even to better understand the issues of the day!) and I would love to heard what those reasons might be! 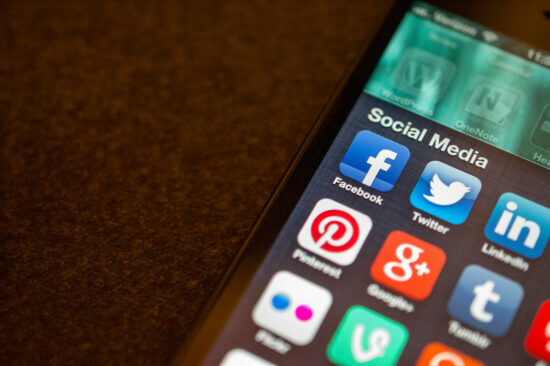 Let us know what good reasons you have to read the paper or why you feel that it is better to simply rely on on-line resources!